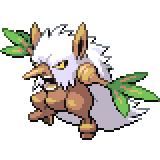 Shiftry is a dual-type Grass/Dark Pokémon. 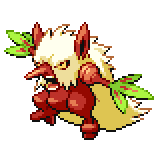 It evolves from Nuzleaf when exposed to a Leaf Stone. 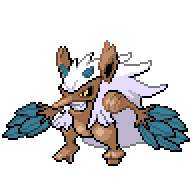 It is the final form of Seedot. It can Mega Evolve into Mega Shiftry using the Shiftrite. A level of "Start" indicates a move that will be known by a Shiftry obtained at level 1. 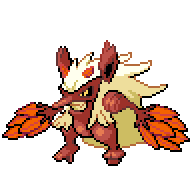 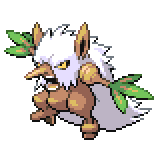 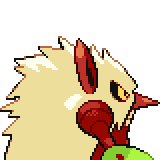 Shiftry's evolutionary line can be seen as a counterpart to Ludicolo's family. 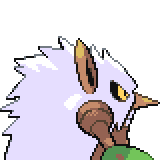 Both of them are part Grass-type, they first evolve at level 14, and a respective evolutionary stone is used to reach the final stage. 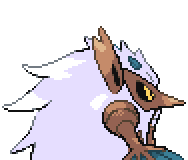 This page was last edited on 18 March 2019, at 22:39.